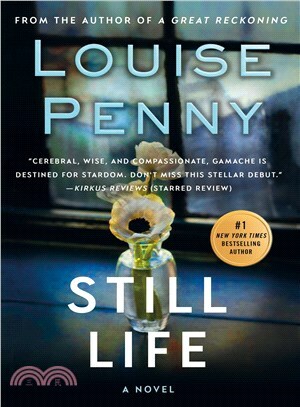 Still Life introduces not only an engaging series hero in Inspector Gamache, who commands his forces--and this series--with integrity and quiet courage, but also a winning and talented new writer of traditional mysteries in the person of Louise Penny. LOUISE PENNY is The New York Times and Globe and Mail bestselling author of seven novels featuring Chief Inspector Armand Gamache. Her debut, Still Life, won the John Creasey Dagger and the Arthur Ellis, Barry, Anthony, and Dilys Awards, and was named one of the five Mystery/Crime Novels of the Decade by Deadly Pleasures magazine. Penny was the first author ever to win the Agatha Award for Best Novel four times—for A Fatal Grace, The Cruelest Month, The Brutal Telling (which also received the Anthony Award for Best Novel), and Bury Your Dead (which also won the Dilys, Arthur Ellis, Anthony, Macavity, and Nero Awards). She lives in a small village south of Montreal.